Slow vMotion to vMotion just not occurring within the cluster that had that one VM failing. VM Console shows below error when trying to access problem VM. “Trespass” or “Failover” the LUN w/ the questionable VM to another storage processor (SP). This immediately stopped all errors and all unaffected VM’s on that LUN continued to run while releasing whatever lock was placed on the LUN causing these ‘wonky’ issues. Essentially the title sums it up. A user tries to connect to a pool, but they get an error stating that no desktop resources are available to them. A look @ the admin console shows either the VM is in “Ready” or “Disconnected” status. 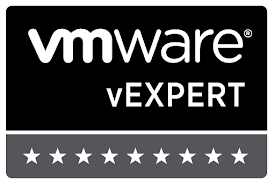 Reset the “VMWare View Agent” service on all or a specific VM in a pool. Reset the VM from the vCenter management console. Check your DHCP pools, make sure all addresses are not reserved already. I believe the View admin console lacks the code to display something like ‘offline’ when it loses communication w/ a VM’s View Agent. It’s interesting because the View broker is aware that a VM’s View Agent is offline based on it’s debug logs (Usually found under C:\Documents and Settings\All Users\Application Data\VMWare\VDM\logs), but you would never be the wiser because the admin console shows everything to be fine. It seems that status is only updated when it ‘expects’ something back from the Agent like after initial deployment (error/timeout or ready) and user connection status change (agent initiated). The debug logs look something like “debug-yyyy-mm-dd-######.txt”. In it, search for the term ‘offline’. I’ll probably open a ticket w/ VMWare.